Leeds has been my home for over four years now and it has changed SO MUCH since I first rocked up aged 22 to start a graduate job in marketing. The city has developed crazy amounts, especially since the opening of the Trinity and Victoria Gate shopping centres, and there is clearly a massive appetite for and appreciation of the independent scene too. Some of my gals came up to Leeds recently so I thought I’d share what we did during our day together. Haydy, Hayley and Kariss all traveled about a million miles to see me (they live in Essex, Birmingham and London respectively so coming up north is a trek and a half) and Haydy arranged a bit of a ‘date day’ for us. She usually arranges date days for her boyfriend but I got jealous and she arranged one for us girls! Our first stop was a Friday night feast at Pieminister which I wrote about here, followed by a cocktail at Be At One on Boar Lane. After that, we drove back to York for a sleepover at Mummy Legge’s before heading back to Leeds on Saturday morning. 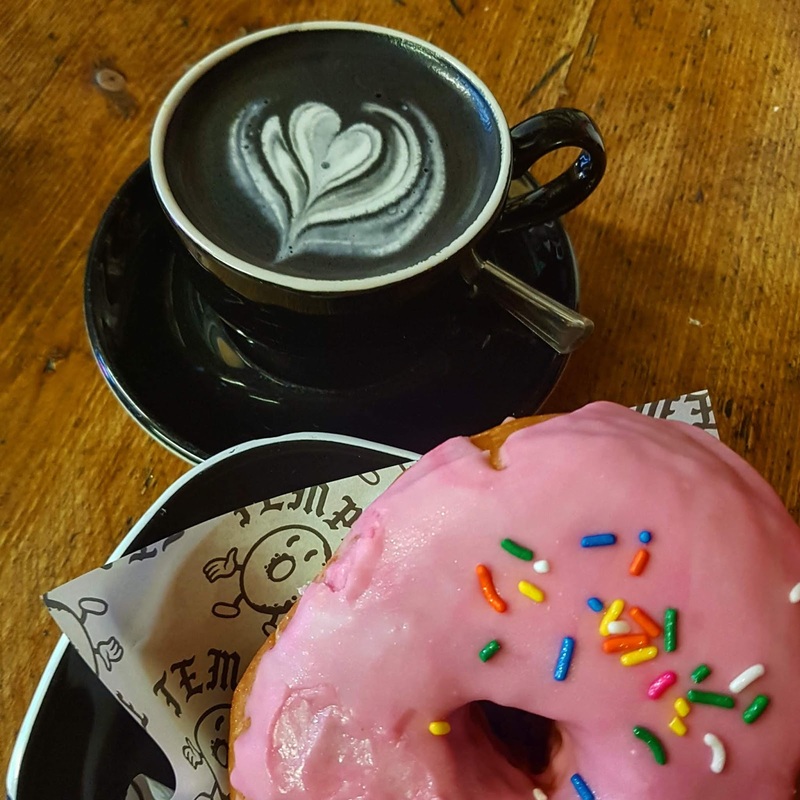 Our first stop was Temple Donuts which is a must-visit for any keen Instagrammer as their donuts look beaut (and taste incredible) and their hot drinks come in a multitude of colours and flavours. We all had a donut, I borrowed Haydy’s coffee for my photo and left with sugar crashes pending. After Temple Donuts, we headed to the Royal Armouries which is a museum about war and it’s actually located about a 10 minute walk from my flat – though I’d never visited for anything other than a conference. We learnt about how animals are used in war, saw some pretty hefty armour and I’ll admit, a lot of it went over my head. After about an hour or so of wandering round (it’s surprisingly hard to navigate), we headed over to Dock 29 for lunch. I’m a long time fan of Dock 29 as it’s quirky, reasonably priced and the food is decent. The service can be pretty slow at the bar and if you’re dining as a big group but for four of us, it was the perfect pitstop and chance to do important things like exchange secret santa gifts and charge our phones. By the time we left, it was dark but we managed to get some photos of Leeds dock before heading up to the Christmas markets. Once we got to the markets, we quickly found a place inside one of the huts to have a drink (I won’t lie, I was outraged that a can of diet coke was £2.50), and just chill out in the warm. Leeds got rid of the big beer tent a couple of years ago and replaced it with a tipi, but as it tends to be pretty difficult to get a seat in there, heading to the huts that have table service is the easier option. Out last stop of the day was Assembly Underground which is a new street food and independent collective. It’s located quite literally underground, and located on Great George’s Street (just up from Almost Famous). We went along to try the food from Slap and Pickle who recently did a pop up in Trinity Kitchen in Leeds and they invited us down to see them at Assembly Underground too. Considering that it was their first weekend of being open, it was absolutely rammed – it turns out everyone in Leeds must have heard about Assembly Underground opening. Zoe and James from Slap and Pickle sorted us out with some food to try (thanks guys!) 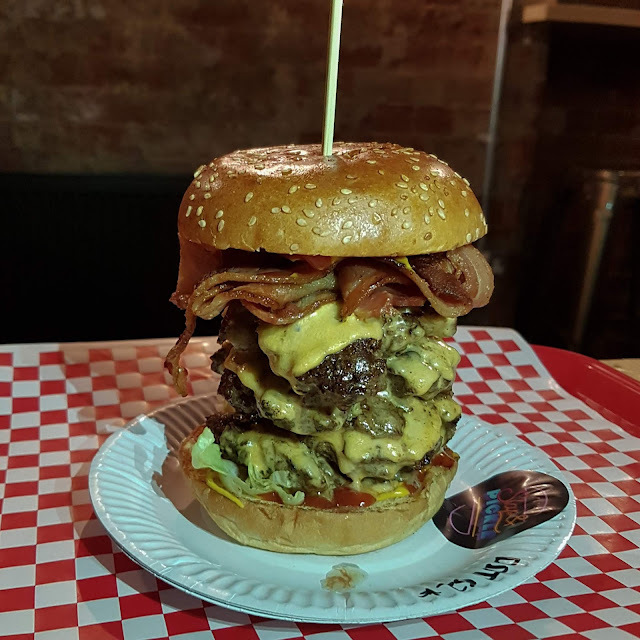 and it was very much a case of ‘go big or go home’ when they brought over a quadruple stack burger and the biggest tray of dirty fries. They actually cut their fries into a curved shape specifically so they’re good for scooping up the toppings! Needless to say, it was incredible – whilst it may be ‘fast’ food in that you go to a vendor and have your meal pretty quickly, there is no compromise on quality. The burger was meaty and tender and the fries were fresh and crispy. 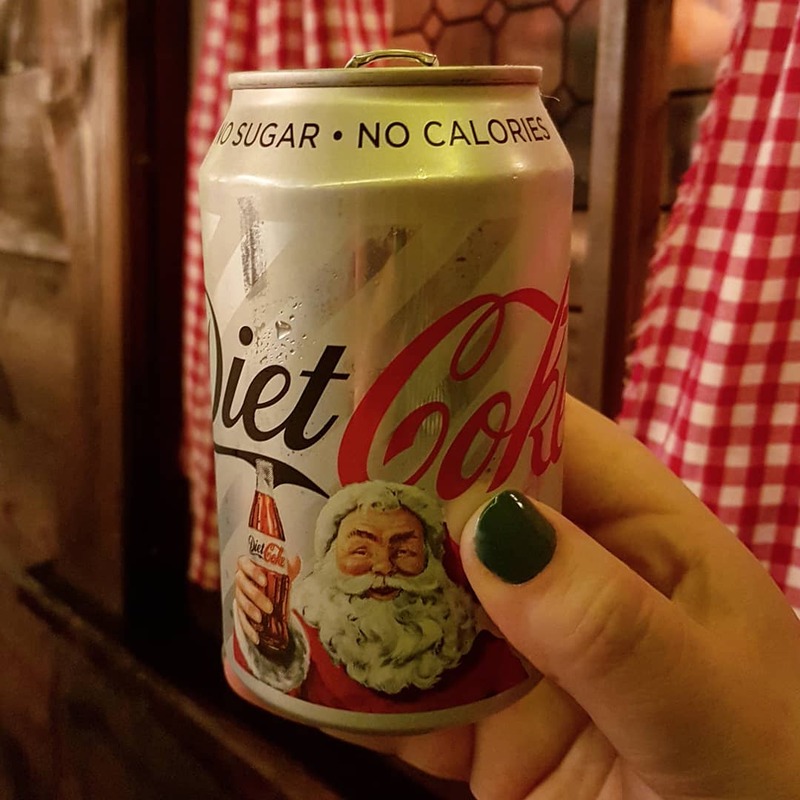 This is the kind of food you need when you’ve already had a few drinks at the Christmas market and you want to just sit down somewhere that’s warm, cosy, has a shitload of craft ales on tap and have something delicious. Having a load of independents in one place is great as you can support local businesses, know you’re going to get a high quality product and the prices are pretty reasonable too. Assembly Underground is like Trinity Kitchen for grownups and I love it. Our Leeds date day was the most fun day out and it felt like proper ‘quality time’ together as we had a full day of catching up, heart to hearts and cry laughing – I honestly couldn’t have asked for anything more. What do you think of our date day? Are you inspired to have a day filled with donuts and burgers with your besties? Let me know in the comments.